When I was at the chocolate expo in Brussels I tasted the best chocolate ever! 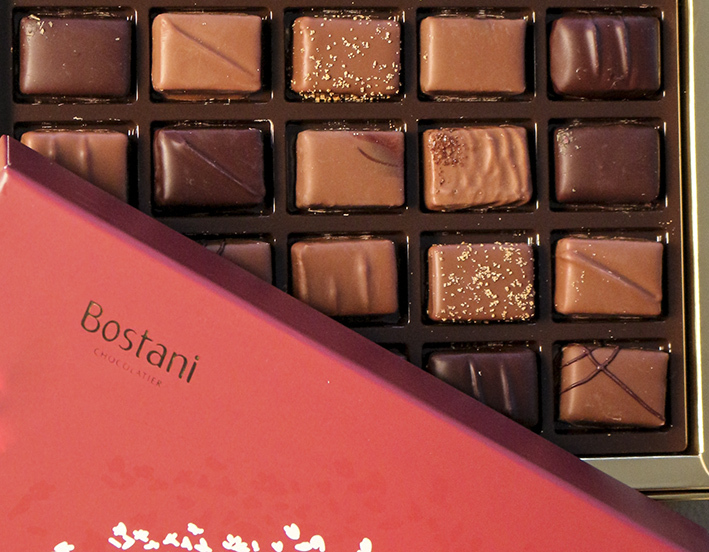 My first plan was to buy macaroons… But when I tasted a chocolate from bostani I was directly sold. I forgot everything and the only thing that was in my mind was I have to buy a box of those chocolates! So of course I did that! So now it’s time tell you more about bostani. Because before the expo I never heard about it. Bostani is new in Belgium, soon they ‘re opening a shop. So this is the perfect moment to tell you more about it…. Inside you got the flavors: raspberry, earl grey, peanut, cinnamon, espresso, salted caramel, speculoos, lavender, caramel and hazelnut. Oooh, the taste of those chocolates are perfect in balance. The special flavors and the chocolate is a combination in heaven! First you tasted the chocolate and then the special flavors. It’s just magnificent! It’s hard to describe the taste because it’s heavenly! And this one should be the best ones you will ever eat! So good are they! For more information and selling points you can look on the site of bostani. I’m sure that soon you can find all the information about the opening on site! Mjammie, dat ziet er lekker uit! Wat ziet dat er lekker uit zeg. Ik ben dol op chocolade. Ik ben benieuwd naar de lekkerste chocolade die je ooit gegeten hebt! Voor mij blijft Neuhaus toch de lekkerste chocolade! Maar deze ziet er ook yummy uit, ik ben een echte chocoholic.